Diane Ehrensaft, PhD,is a developmental and clinical psychologist. 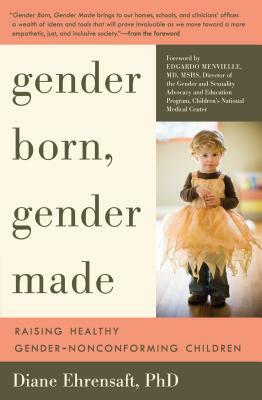 At the University of California–San Francisco, she is the cofounder and director of mental health at the Child and Adolescent Gender Center, an associate professor of pediatrics, and an attending psychologist at the Benioff Children’s Hospital Child and Adolescent Gender Clinic. Her work with—and advocacy for—gender creative children has been widely covered, including by The New York Times, the Huffington Post, and NPR. She has been featured on the Los Angeles Times online, Wired online, and has appeared on Anderson, The Oprah Winfrey Show, and The Today Show.